SingSpring owns and operates Singapore’s first large-scale seawater desalination plant, which commenced commercial operations in December 2005. SingSpring Desalination Plant is capable of supplying up to 136,380 m3 of desalinated potable water per day, which represents approximately 10% of Singapore’s current water needs. 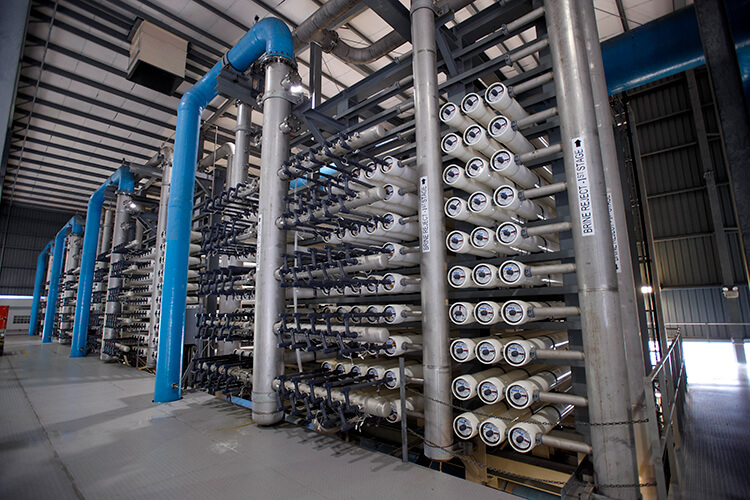 SingSpring Desalination Plant utilises advanced, cost and energy-efficient reverse osmosis technology. It was the largest membrane-based seawater desalination plant in the world at the time of its completion and at that time also had one of the largest reverse osmosis trains in the world. The plant is located in Tuas, on land leased from JTC Corporation for a 30-year term expiring in 2034. Working closely with PUB, SingSpring completed security enhancement works to SingSpring Desalination Plant in 2011. These works involved replacing all chain-linked fences with welded-mesh fences, as well as installing heavy-duty drop-arm barriers and other security equipment and accessories.